What are Common Car Noises? What Do Common Car Noises Sound Like? It doesn’t take a mechanic to understand how much of an engineering wonder a car is. At any given time, your car has up to 10,000 moving parts working in sequence with one another to get you where you need to be. Some cars use over 100 different internal computers, which utilize millions of lines of code, each time we need to get to the grocery store or pick our children up from school. Cars are one of the most complicated machines in the world, and they’re used every day by just about everyone, everywhere. If this applies to you: Car wont start clicking noise, car makes noise when turning, car making noise when accelerating, car wont start but lights come on no clicking noise, we might be able to help! But how can we tell if these intricate machines aren’t behaving the way they should be? 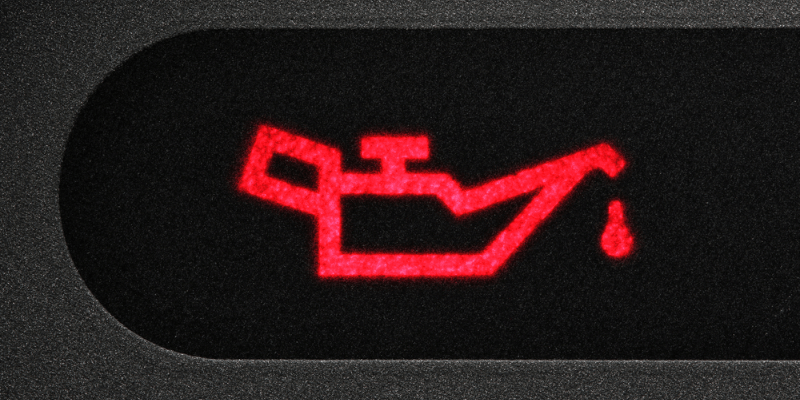 Are there any sure-fire indicators that something might be wrong with our cars? We have compiled examples of some of the most common sounds you may hear throughout the life of your vehicle. There’s nothing like driving down the highway, windows open, wind washing over you during a warm summer evening; it’s one of the great pleasures in life. But once we put our windows up, we typically expect the wind to stay outside our cars. So why the heck are we still hearing and feeling it? Most likely, the weather seals around your car doors are crushed or worn thin causing a whistling sound near your car door. The good news? This issue is easily fixed, and it shouldn’t cost an arm and a leg either. 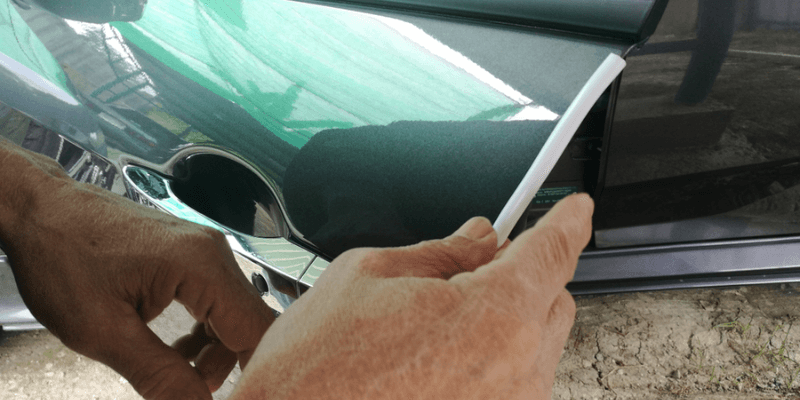 It’s best to get this fixed as quick as possible, as wind isn’t the only thing that will get through your weather stripping. We’re pretty sure you wouldn’t want to feel like you’ve stepped in a puddle every time you enter your vehicle. 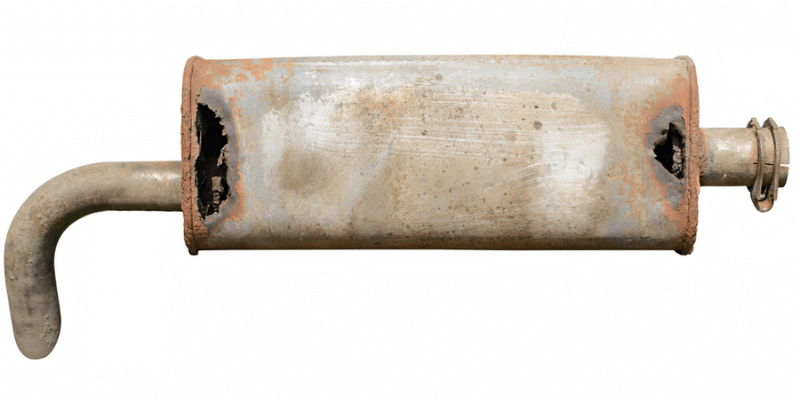 A hole in your car’s muffler is easy to diagnose, since the sound your car makes when you have one is unmistakable and extremely disruptive. You’ll want to get your car in the shop quickly for this issue, unless you want to make your neighbors angry, or become a regular at your local ear doctor. 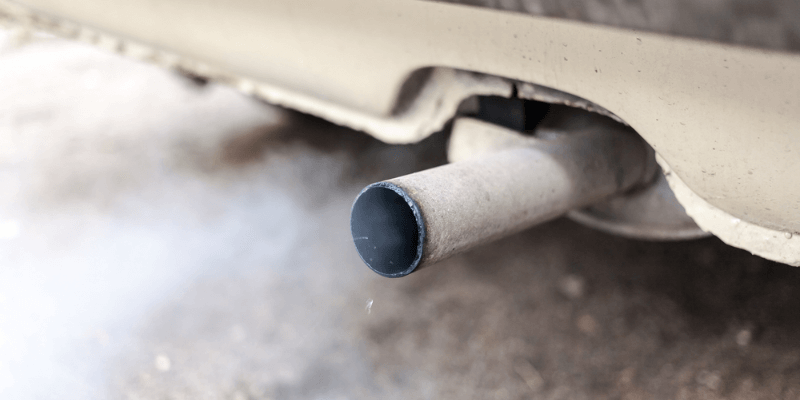 More importantly, holes in your muffler can cause exhaust gases like carbon monoxide to creep into the interior of your vehicle. This can cause many serious health problems, and can even result in death. Yikes! We recommend opening your windows and driving to your nearest licensed repair shop. People are supposed to whistle, not cars. Your radiator cap basically ensures that the pressure in your radiator stays regulated, which is important for the coolant system to circulate properly in your vehicle. 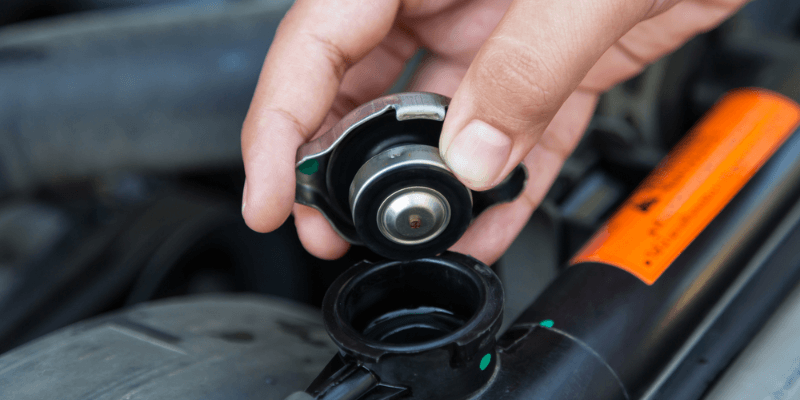 If the gasket on your radiator cap malfunctions, it will allow coolant to boil off and evaporate, which can lead to some pretty serious problems for your engine (most notably, overheating). The fix can be a bit pricey, but it can get much more expensive if the problem is left alone for too long. If you hear a whistling noise from under the hood it is definitely worth getting it checked out. 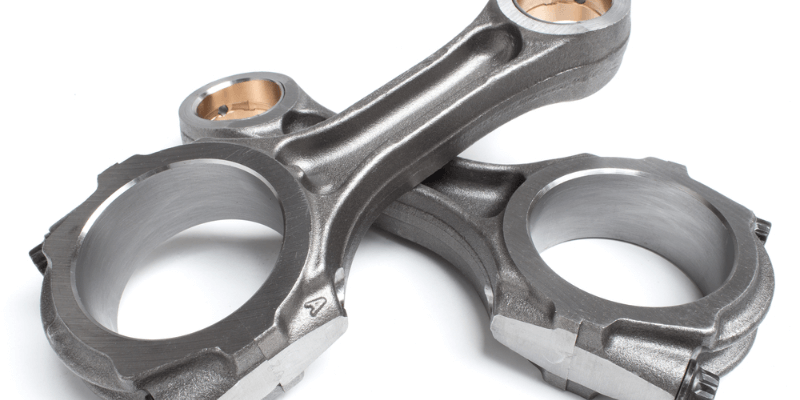 Pistons are one of those car components that you want running properly at all times. If you do not keep up with regular car maintenance and annual checkups, you run the risk of potentially having to spend thousands of dollars on a complicated engine repair or replacement. Make sure you keep up with regularly scheduled oil changes, and have your trusted repair professional inspect your engine annually. If you hear any ticking coming from under your hood, it may be to late to fix without a large repair bill. But there is a chance you can get out without it costing an arm and a leg. We sincerely hope you paid attention to the advice we gave on number 8 of this list. But if we’re already past that and you hear this noise? Get your car in a shop ASAP. Radiators are definitely not supposed to sound like an old-fashioned coffee percolator. If this problem is not quickly remedied, you could be facing total engine failure in the not-so-distant future. In the meantime, if you’re dependent on a vehicle for daily commutes, we recommend shopping for a reasonably priced rental, or asking someone you know to let you ride with them. By now, you’ve realized that a lot of almost innocent sounding car noises can have potentially disastrous meanings. Unfortunately, this noise does not fall short of that trend. 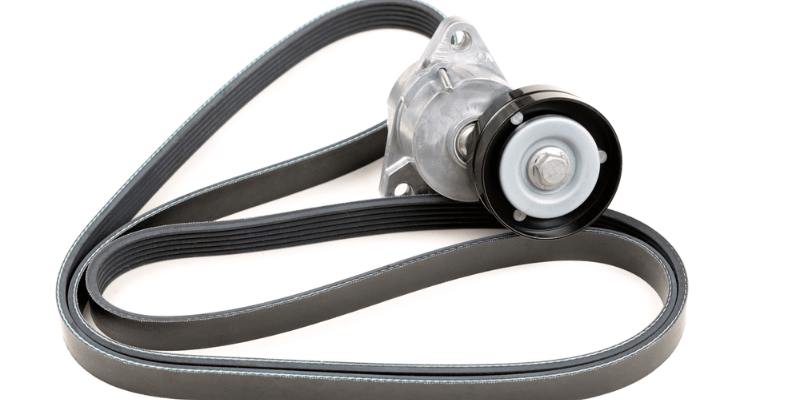 Your car’s serpentine belt governs a hefty portion of the systems in your car’s engine. If the belt slips, tears, or wears out entirely, many vital functions will cease to operate. Your alternator, air conditioner, even your power steering can stop working altogether. While this squealing noise can be caused by other belts and pulley systems in your car, this sound should always be inspected and diagnosed by your trusted car professional. While it is important to maintain your vehicle to keep it moving, you also want to make sure the car will continue coming to a full stop. If you begin to hear and feel grinding when attempting to use your brakes, it’s crucial that you go to get them repaired. This is another noise you don’t want to hear, as it means you’ve likely already worn through your brake pads, and you are now destroying your rotors. Not only can this be an extremely expensive repair to the tune of nearly a thousand dollars, you could also lose functionality of your brakes while driving. Please stay safe and get your car to a shop before it gets to that stage of disrepair. CV Joint connect the axle to the front wheels of your car. Typically seen on front-wheel drive vehicles, they control how much torque and force is needed to turn your wheels properly. This issue is fairly uncommon, but if it does occur, it can make your car undriveable, which can lead to immobility and even serious road accidents. 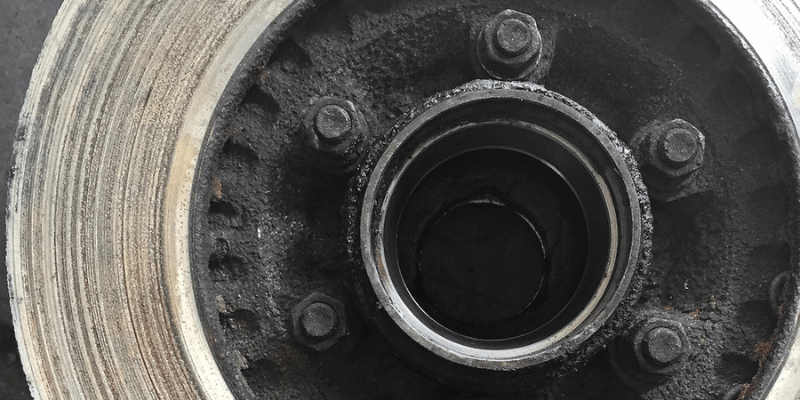 Plus, once this kind of damage has been done to a CV joint, there’s no choice but to replace, which can cost between $400-$800. 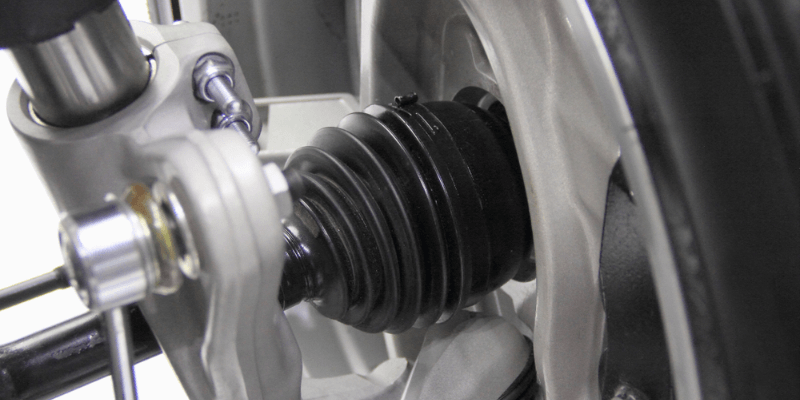 If you suspect your CV joints might be damaged, we advise you to get your car to your nearest licensed repair shop. Like many of the issues discussed and heard on this list, this problem usually occurs if your car isn’t regularly maintained, and if you don’t perform a full checkup annually. 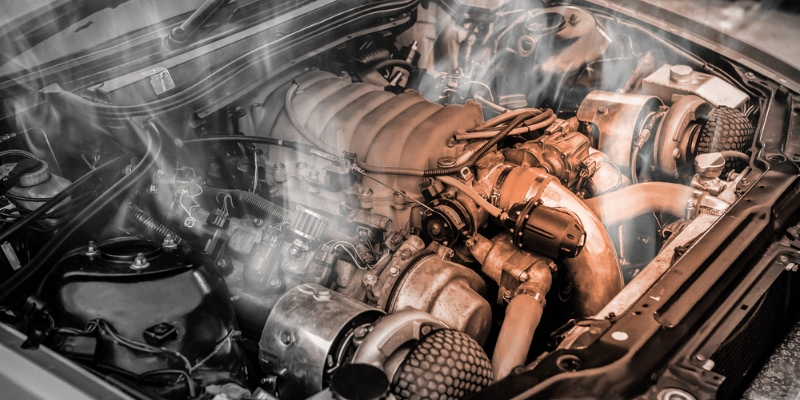 Engine seizures usually occur if a car is run for too long without proper coolant or oil, or from foreign objects sneaking their way into your engine block, preventing the systems within from moving properly, or breaking them altogether. While this issue isn’t a complete death sentence for your engine, it can very easily lead to being one. As such, if you begin hearing this sound while trying (and failing) to start your car, get it into a shop as quickly as possible to prevent further damage, and to save yourself money on a more costly repair. 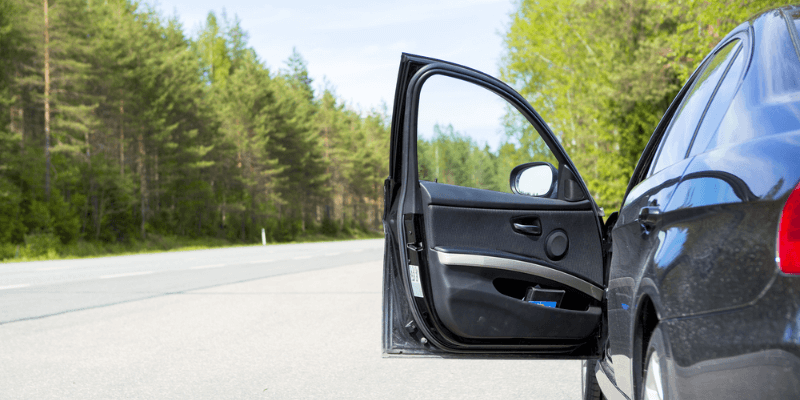 One of the most common noises you will hear from any modern car is the constant beeping that’s associated when opening your car door. Normally, this light is accompanied by the Door Ajar Light which means that it is operating as expected. If you find that this noise is being emitted from your vehicle while your car door is closed, then there may be a contact issue with your door not allowing the sensor to register. One fix you may be able to attempt is to take steel wool and rub the metal latch on either side of the door and frame to allow for a connection to be made. This could also be an issue with the sensor and require to be changed or swapped. Not to be confused with the ticking noise of a piston malfunctioning due to low oil pressure, this noise indicates a much more extreme problem: Unfixable engine damage. If you hear this noise, you have no other choice but to completely replace your car’s engine, and without a powertrain warranty or another form of service contract, remedying this problem will set you back thousands of dollars. We sincerely hope you never have to hear this noise, but at least now you know what it sounds like. It is amazing to consider the level of innovation and engineering that goes into building a motor vehicle. Journeys that took months or years for our ancestors often only take us a matter of hours or days to complete. To make this possible, cars employ thousands of moving parts to move us from one horizon to the next as quickly and safely as possible. Making sure these machines are always functioning at their peak performance is integral to keeping us moving forward. But with the mounting cost of car repairs, and the increasing age of cars on the road, cars are often financially draining to maintain and fix. That is why DriveSmart picks up where your factory warranty leaves off; we understand the value of keeping your car moving and your life complication-free. Rather than letting these noises cause you undue stress from considering how much it will all cost, let us do that heavy-lifting for you. Don’t let your car’s noises cause stunned silence. The smarter way to drive is with DriveSmart Auto Warranty. Be sure to browse our coverage options, and receive a quote today!